Research: Research in this group focuses on the control of robotic manipulators and hands with anthropomorphic characteristics. The motion of the human arm and hand is captured, through the use of appropriate equipment, and is decomposed in order to design bioinspired and biomimetic control laws. Furthermore, signals from the peripheral nervous system (sEMG) are used for teleoperation reasons. This robot arm is used as a neuro-robotic device, being controlled by signals coming from the human Peripheral Nervous System. Surface ElectroMyoGraphic (EMG) signals are recorded from muscles of the upper limb, decoded to motion and finally used for the real-time continuous control of the PA-10 robot arm. The arm is teleoperated in the 3D space, being controlled in torque using its identified full dynamic model. On the technology basis of the DLR-HIT Hand I, the Harbin Institute of Technology (HIT) and the German Aerospace Center (DLR) have jointly developed a new robot hand. Compared with the DLR-HIT Hand I, the new hand, DLR-HIT Hand II, has five modular fingers and each finger has four joints and three degrees of freedom, which is smaller and lighter. Altogether there are 15 motors in the finger body and palm. 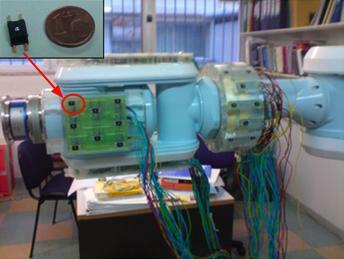 The hand is actuated by commercial flat brushless DC motors commutated by digital hall sensors. There is an absolute angle sensor and a strain-gauge based joint torque sensor at each joint. The high speed real time communication bus is implemented by FPGA. The EMG system is used for recording surface EMG signals from muscles of the upper limb. 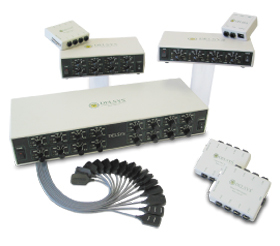 16 channels can be recorded synchronously in high frequency. Surface bipolar electrodes are used for a better quality of the EMG signal. 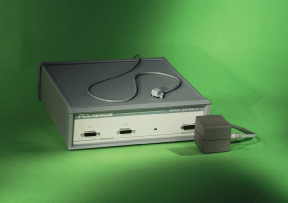 The EMG system performs the necessary signal conditioning, while the resulted signal is digitized by a data acquisition card in a PC, at the frequency of 1 kHz. The ActiveTwo system sets new standards for multi channel, high resolution biopotential measurement systems for research applications. The system is a further development of our successful ActiveOne system, the first commercially available system with active electrodes. Advances in technology have allowed us to significantly increase the number of channels, digital resolution, input range, and sample rate, without any increase in size, power-consumption or costs. Second generation active electrodes are smaller in size with less cable weight, while offering even better specs in terms of low-frequency noise and input impedance. The new system confirms the solid lead that BioSemi has build over competing designs during the last years. The 22-sensor data glove “Cyberglove II” has three flexion sensors per finger, four abduction sensors, a palm-arch sensor, and sensors to measure wrist flexion and abduction. 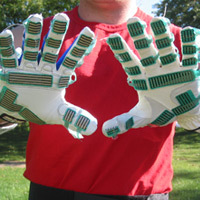 Each sensor is extremely thin and flexible being virtually undetectable in the lightweight elastic glove. The CyberGlove motion capture system has been used in a wide variety of real-world applications, including digital prototype evaluation, virtual reality biomechanics, and animation. The position tracking system is used for recording the upper limb motion in 3D space. Using the two tracking sensors and the human upper limb kinematics, the human arm joint angles are computed. The system is used for training the EMG-based motion decoding scheme, as well as for investigating the human arm motion in 3D space resulting to the construction of probabilistic models that describe arm movements and motion primitives. The force-torque sensor is used for the force control of the robot-arm in scenarios where there is interaction with a human or the environment in general. 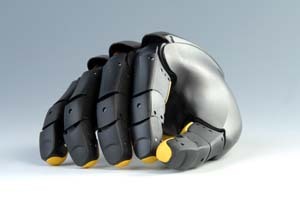 The Grip System (Tekscan) measures and evaluates static and dynamic pressures from grasping objects. The Grip system uses a thin, high-resolution, tactile pressure sensor that can be used directly on a hand or built into a glove. The system provides detailed pressure profiles, forces, and graphical displays for quantitative analysis of various haptic applications. The Grip System is being used in our lab to measure the forces exerted by the DLR/HIT II robot fingertips. 2. Sensor sensitivity: 0.10 mV/g min., 0.12 mV/g typ., 0.14 mV/g max. 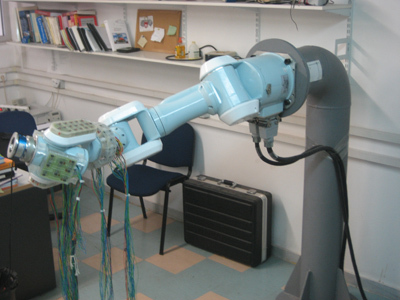 In the field of neuro-robotics, the robot executes a task through interfacing with the neural system, thus by processing electromyographic activity. 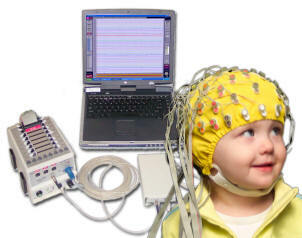 In mostcases, neural signals are noisy and inappropriate for controlling a robot directly. The presense of obstacles in the environment, and consideration of non-planar surfaces complicates the problem further. We need a strategy to combine compliant behavior of the robot with respect to its environment, andobstacle avoidance. We have used a number of miniaturized force sensors (74) in order to cover all the critical points of the robotic manipulator. This construction works as a skin on the robotic links emulating the human forearm (an array of 24 sensors) and wrist (an array of 50 sensors).